Durable to support (2) 3 or 5 gallon bins or (1) 12 gallon bin. 11"w x 12"d x 12"h shelf space corresponds with gravity bins. Design is ideal for tabletop and counter use. 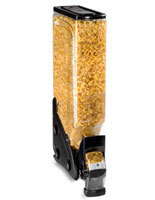 This gravity bin stand is great for any hotel, restaurant or food service location. 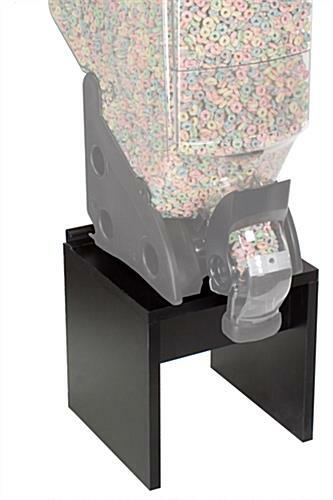 Display your candy, cereal, and snacks on this food display. 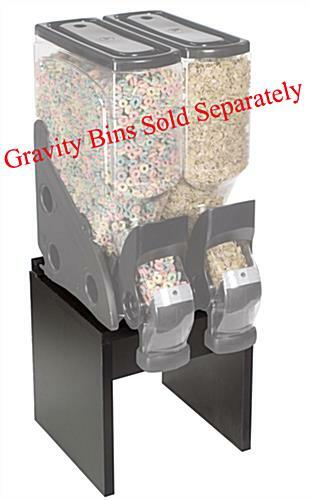 This gravity bin stand is sold separately from the gravity bins and include a pre-mounted locking strip. 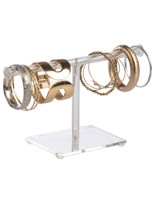 Change your store with our bins and display racks! 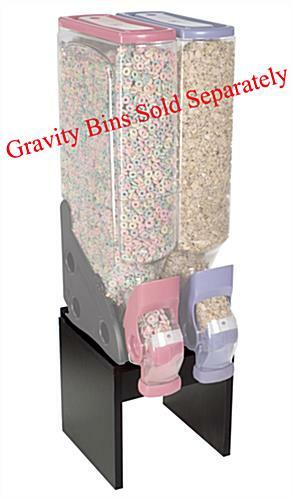 This gravity bin stand is crafted out of melamine covered particle board (MCP). The black exterior corresponds with almost any decor. This gravity bin stand is 11"w x 12"d x 12"h for keeping the various containers in full view. 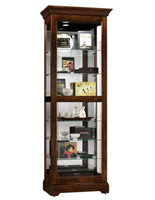 The food display will stand up through years of use. This gravity bin stand accommodates (2) 3 gallon or 5 gallon containers. 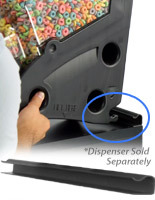 The food display also works with (1) 12 gallon dispenser. 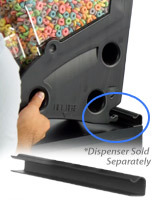 This gravity bin stand is a great addition on a tabletop, counter, or other space with food dispensers. 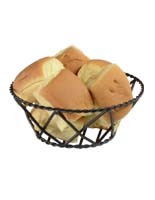 The serving display raises the height of the dispenser, so bowls and plates can easily be inserted beneath. This gravity bin stand saves wall space at an eating establishment. The bulk bin display is easy to clean. This gravity bin stand matches the colors on all of the various gravity bins available. 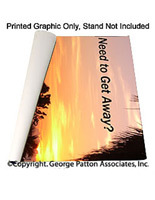 11.0" x 78.0" x 11.5"
We expect to have more in stock in approximately 20 days.